Comfort, charm in the Ligurian hinterland at 300 meters above sea level, among the olive trees and near the coast. The sea with the beaches of Alassio is 20 minutes away. Ideal for romantic holidays, families, holidays with friends, trekking. 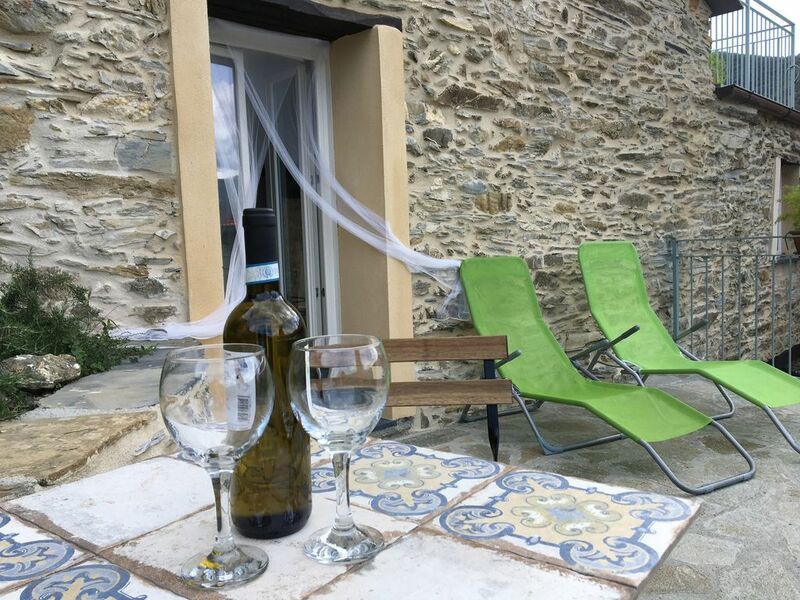 The recently renovated stone house, with two houses with separate entrance on two levels, consists of a large living room with kitchen, a large bedroom with a double bed, a living room with a double sofa bed for two people. The bathroom is inside the master bedroom. Tv sat, wi fi, two terraces with a view of the nearby borghate and the Ligurian hills. The stars in the evening are unforgettable! in the Ligurian hinterland just a few minutes from the sea. Ideal for 2 - 4 people.